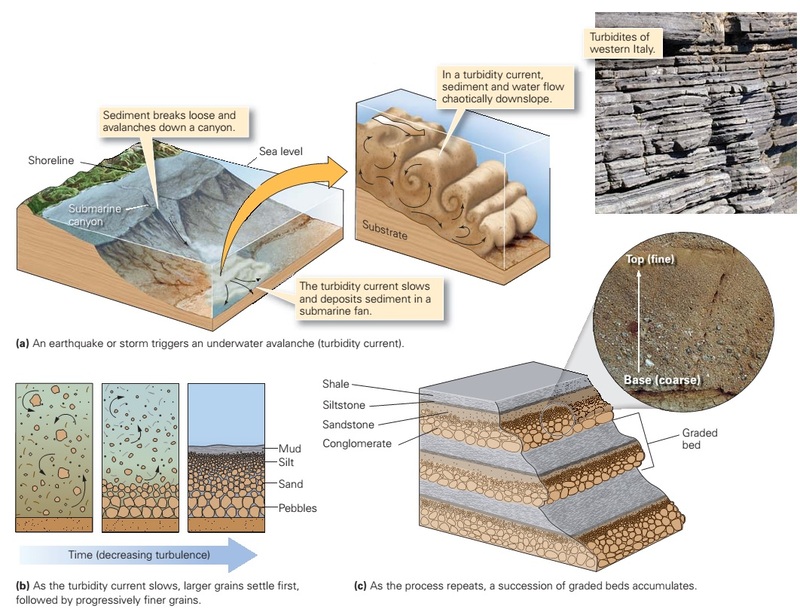 Geologists use the term sedimentary structure for the layering of sedimentary rocks, for surface features on layers formed during deposition, and for the arrangement of grains within layers. Here, we examine some of the more important types. 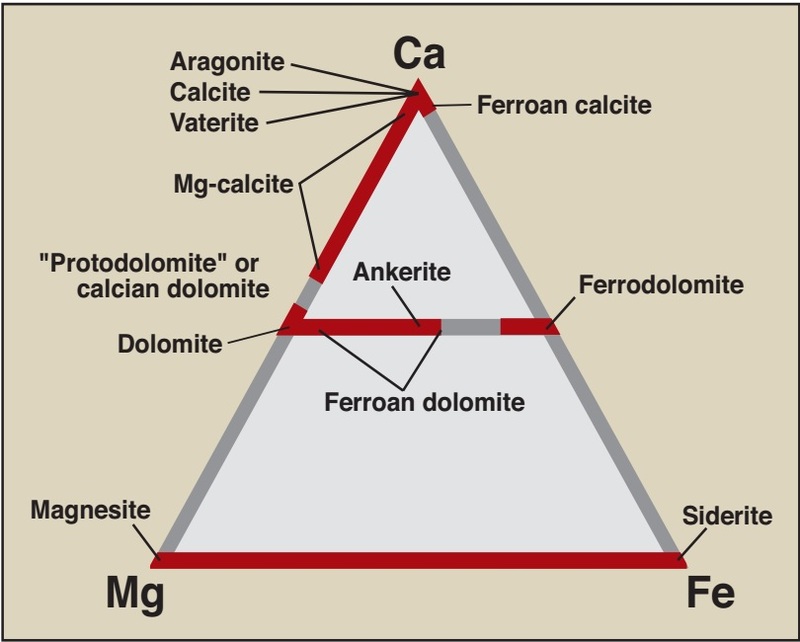 Let’s start by introducing the jargon for discussing sedimentary layers. A single layer of sediment or sedimentary rock with a recognizable top and bottom is called a bed; the boundary between two beds is a bedding plane; several beds together constitute strata (singular stratum, from the Latin stratum, meaning pavement); and the overall arrangement of sediment into a sequence of beds is bedding, or stratiﬁcation. 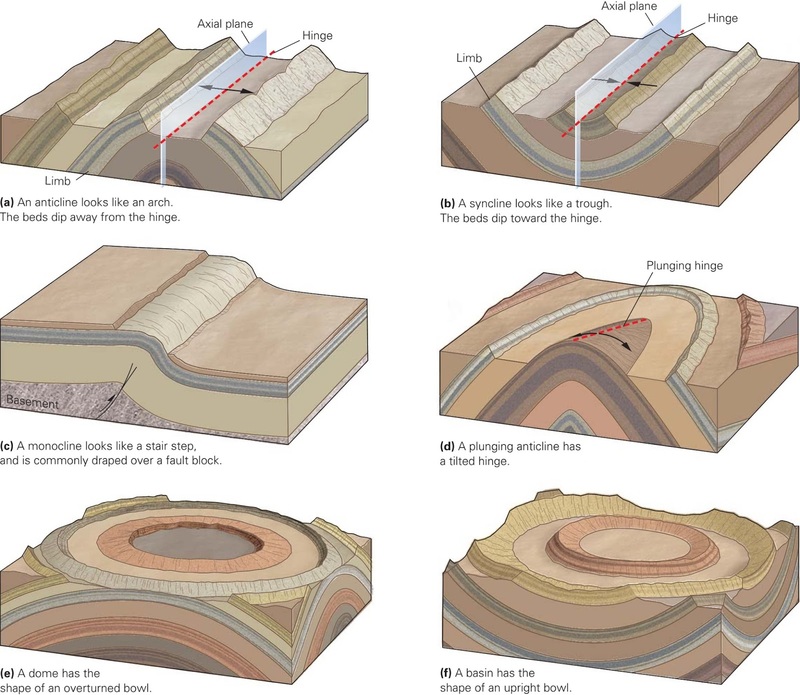 From the word strata, we derive other words, such as stratigrapher (a geologist who specializes in studying strata) and stratigraphy (the study of the record of Earth history preserved in strata). In some outcrops, stratiﬁcation can be quite subtle. But commonly, successive beds have different colours, textures, and resistance to erosion, so bedding gives outcrops a striped appearance (a in figure above). 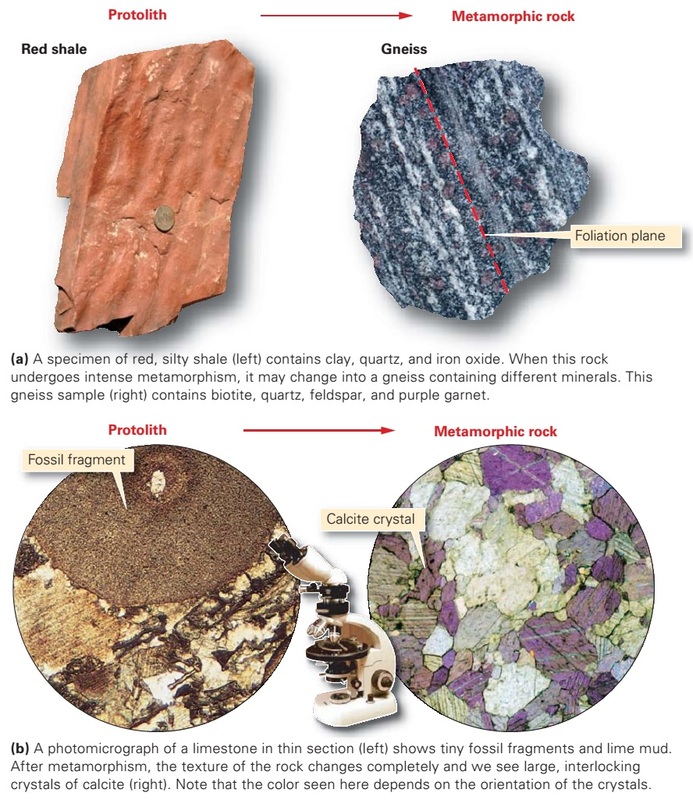 Why does bedding form? To ﬁnd the answer, we need to think about how sediment accumulates. 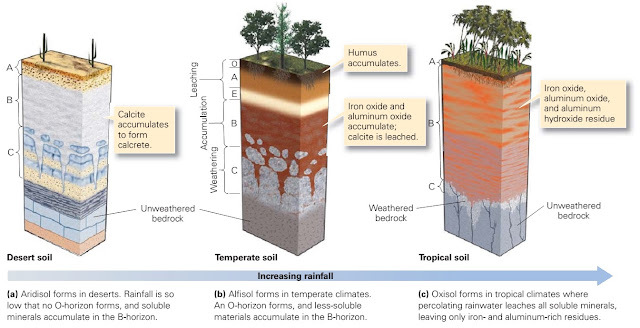 Changes in the climate, water depth, current velocity, or the sediment source control the type of sediment deposited at a location at a given time. For example, on a normal day a slow- moving river may carry only silt, which collects on the riverbed (b in figure above). During a flood, the river flows faster and carries sand and pebbles, so a layer of sandy gravel forms over the silt layer. Then, when the flooding stops, more silt buries the gravel. 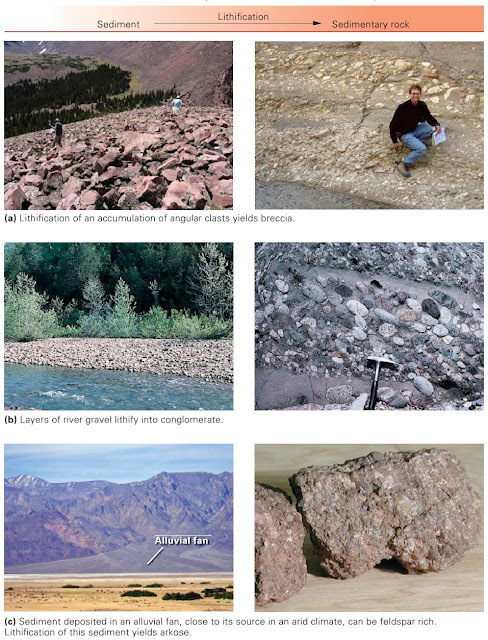 If this succession of sediments become lithified and exposed for you to see, they appear as alternating beds of siltstone and sandy conglomerate. 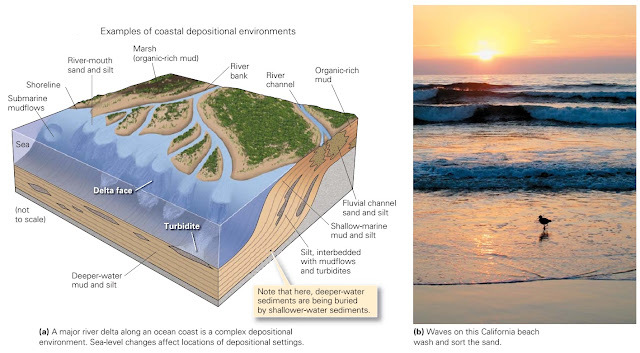 During geologic time, long-term changes in a depositional environment can take place. Thus, a given sequence of strata may differ markedly from sequences of strata above or below. A sequence of strata that is distinctive enough to be traced as a unit across a fairly large region is called a stratigraphic formation, or simply a formation (a in figure above). 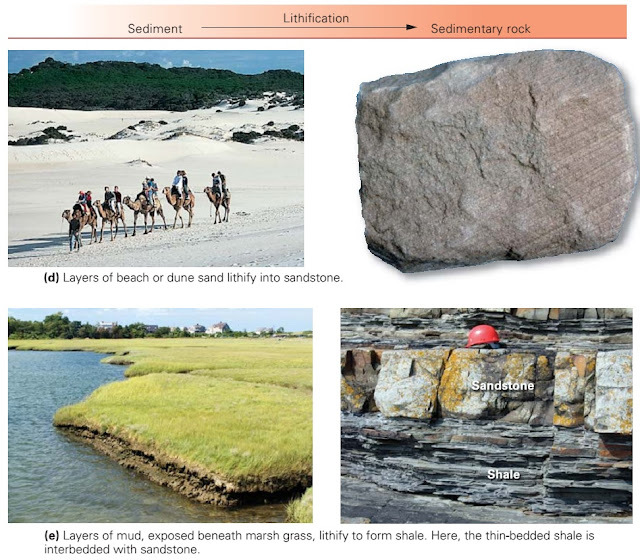 For example, a region may contain a succession of alternating sandstone and shale beds deposited by rivers, overlain by beds of marine limestone deposited later when the region was submerged by the sea. A stratigrapher might identify the sequence of sandstone and shale beds as one formation and the sequence of limestone beds as another. Formations are often named after the locality where they were ﬁrst found and studied. 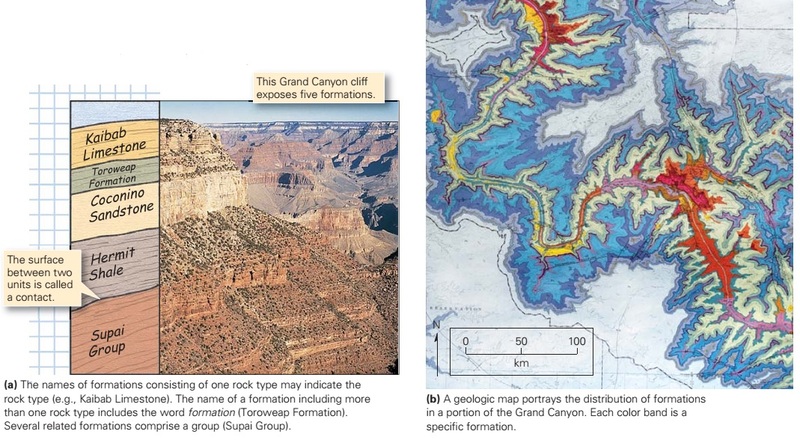 A map that portrays the distribution of stratigraphic formations is called a geologic map (b in figure above). 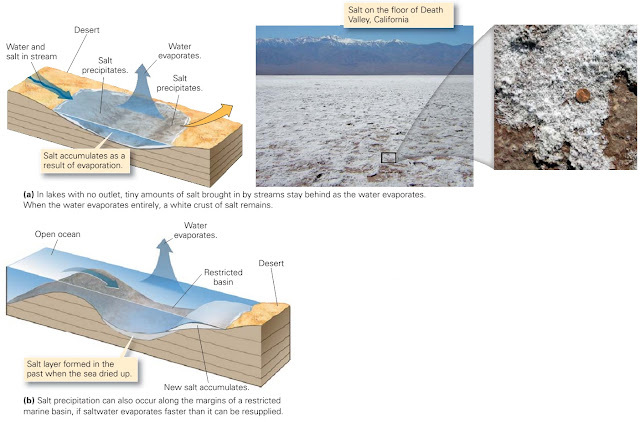 Many clastic sediments accumulate in moving ﬂuids (wind, rivers, or waves). Fascinating sedimentary structures develop at the interface between the sediment and the ﬂuid. These structures are called bedforms. Bedforms that develop at a given location reﬂect such factors as the velocity of the ﬂow and the size of the clasts. Though there are many types of bedforms, we’ll focus on only two ripple marks and dunes. The growth of both produces cross bedding, a special type of lamination within beds. Ripple marks are relatively small (generally no more than a few centimetres high), elongated ridges that form on a bed surface at right angles to the direction of current ﬂow. You can ﬁnd ripples on modern beaches and preserved on bedding planes of ancient rocks (figure above). 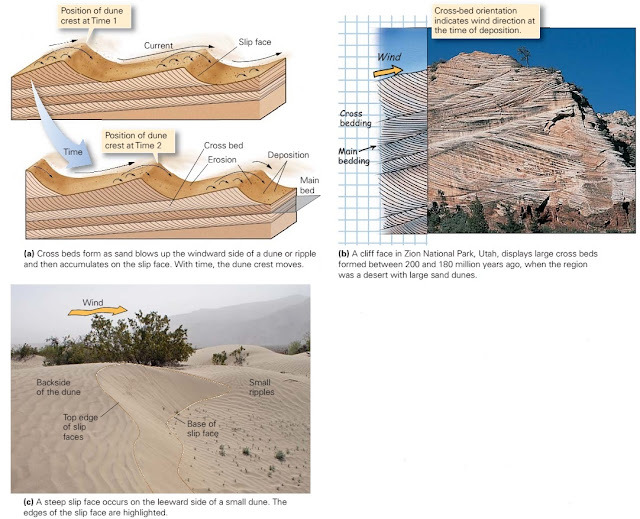 Dunes are relatively large, elongate ridges built of sediment transported by a current. In effect, dunes are “mega-ripples.” Dunes on the bed of a stream may be tens of centimeters high, and wind-formed dunes of deserts may be tens to over 100 meters high. If you examine a vertical slice cut into a ripple or dune, you will ﬁnd distinct internal laminations that are inclined at an angle. Such laminations are called cross beds. 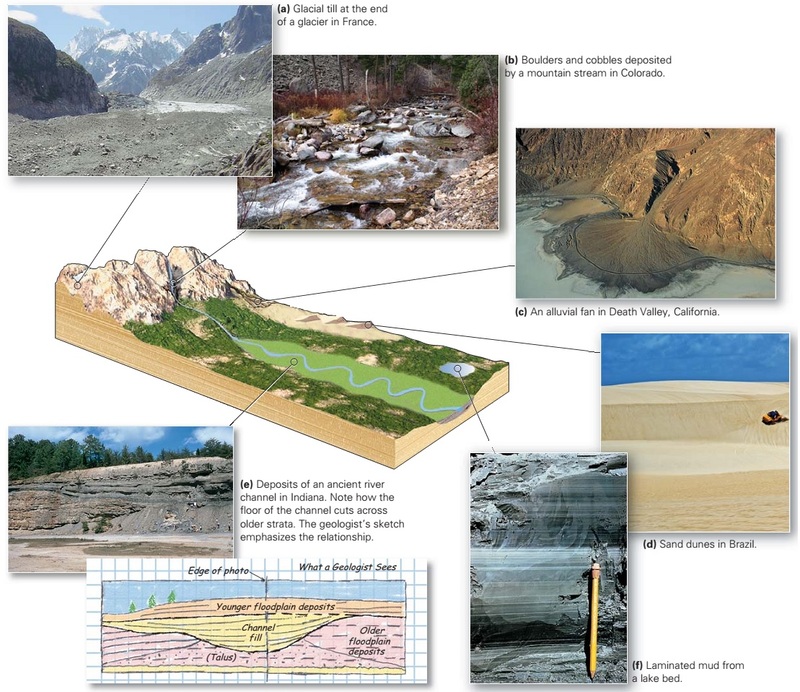 To see how cross beds develop, imagine a current of air or water moving uniformly in one direction (a in figure above). The current erodes and picks up clasts from the upstream part of the bedform and deposits them on the downstream or leeward face of the crest. 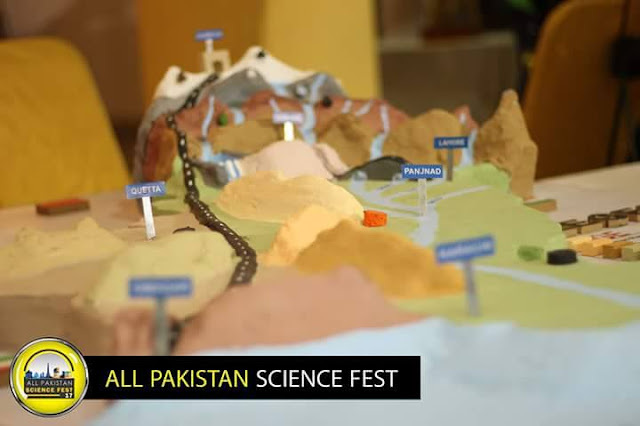 Sediment builds up until gravity causes it to slip down the leeward face. With time, the dune or ripple builds in the downstream direction. The surface of the slip face establishes the shape of the cross beds. Eventually, a new cross-bedded layer builds out over a pre-existing one. 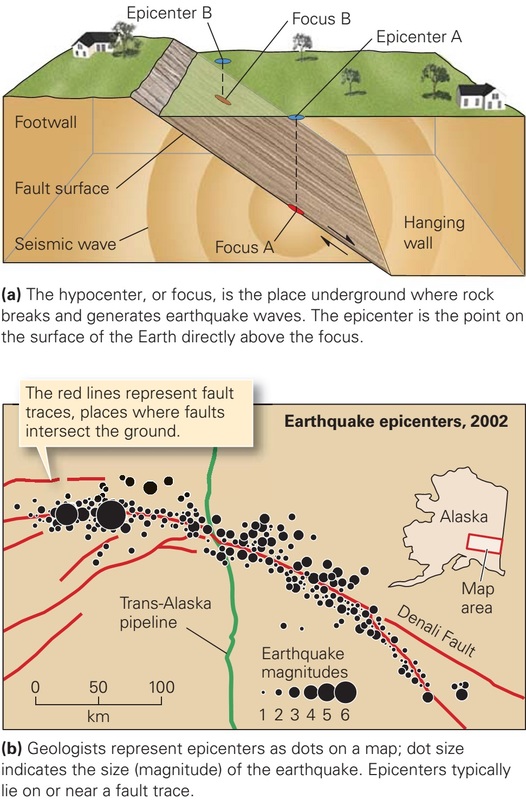 The boundary between two successive layers is called the “main bedding,” and the internal curving surfaces within the layer constitute the cross bedding (b and c in figure above). 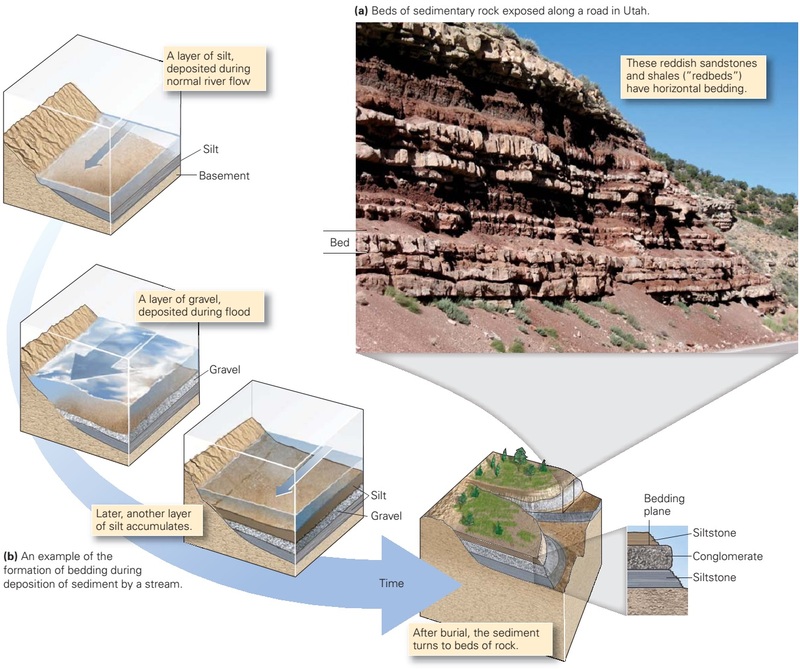 Sediment deposited on a submarine slope tends to be unstable. For example, an earthquake or storm might disturb this sediment and cause it to slip downslope and mix with water to create a murky, turbulent cloud. This cloud is denser than clear water and thus ﬂows downslope like an underwater avalanche (a to c in figure above). We call this moving submarine suspension of sediment a turbidity current. Downslope, the turbidity current slows, and the sediment that it has carried starts to settle out. 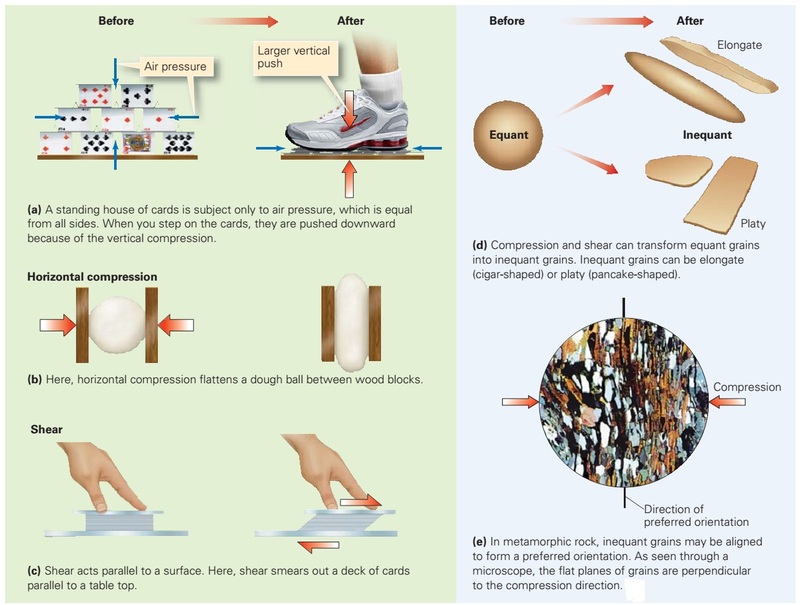 Larger grains sink faster through a ﬂuid than do ﬁner grains, so the coarsest sediment settles out ﬁrst. Progressively ﬁner grains accumulate on top, with the ﬁnest sediment (clay) settling out last. This process forms a graded bed that is, a layer of sediment in which grain size varies from coarse at the bottom to ﬁne at the top. Geologists refer to a deposit from a turbidity current as a turbidite. Mud cracks: If a mud layer dries up after deposition, it cracks into roughly hexagonal plates that typically curl up at their edges. We refer to the openings between the plates as mud cracks (a and b figure above). Scour marks: As currents flow over a sediment surface, they may erode small troughs, called scour marks, parallel to the current flow. Fossils: Fossils are relicts of past life. Some fossils are shell imprints or footprints on a bedding surface. Burial and lithiﬁcation of bed-surface markings can preserve them in the stratigraphic record. Sedimentary structures are not just a curiosity, but are important clues that help geologists understand the environment in which sedimentary beds were deposited. For example, the presence of ripple marks and cross bedding indicates that layers were deposited in a current, the presence of mud cracks indicates that the sediment layer was exposed to the air and dried out, and graded beds indicate deposition by turbidity currents. Also, fossil types can tell us whether sediment was deposited along a river or in the deep sea, for different species of organisms live in different environments. In the next section of this chapter, we examine these environments in greater detail.